Unfunded clean letters of credit, asking for favourable payment terms from suppliers, and adopting an export focus to generate FX were some of the strategies adopted by Seven-Up Bottling Company Plc, manufacturers of PepsiCo’s products in Nigeria, chief executive, Sunil Sawhney said. He was not alone. Even as most firms found it difficult to adapt to the hitherto foreign exchange (FX) scarcity in Nigeria – eased in June 2016 after the Nigerian central bank floated the naira – others embraced it by adopting innovative strategies to remain in business. Shoprite, a South African grocer, advertised in April 2016, asking Nigerian manufacturers to supply specific consumer goods, which it had been importing before. As the sale of FX for the importation of some of its fast moving consumer goods had been banned in the official FX market, the retailer needed to seek local alternatives. There were concerns about quality. Even so, it was the grocer’s brand that assured customers, not where the goods came from. Some South African firms – Truworths and Clover for example – chose to leave the country instead. Their business models, it turned out, were not really adaptable to the new economic realities. As they imported goods cheaply from their home country, Nigeria’s then fixed and overvalued exchange rate almost always guaranteed them a positive FX return and sometimes made up for the occasional negative or meagre margins on goods sold. In spite of the tough economic environment – which remains challenging, even after the naira was allowed to trade freely in June 2016 – Pick ‘n’ Pay, another major South African retailer, announced plans in April 2016 to set up shop in Nigeria, evidence that it considered the long-term prospects of the country to be still attractive. A view echoed no less by Rich Lesser, global chief executive at Boston Consulting Group, a consultancy, at a July 2016 CEO conference by BusinessDay – the leading business daily in Nigeria. Regardless, some firms managed to cope. Nestle, a global foods and beverage manufacturer, for instance. What Nestle did was to widen the number of banks it sourced foreign exchange from – a practice that became widespread amongst other multinational firms thereafter, limiting effectiveness. Some firms needed to import certain inputs. So, local alternatives could not be sought in their case. 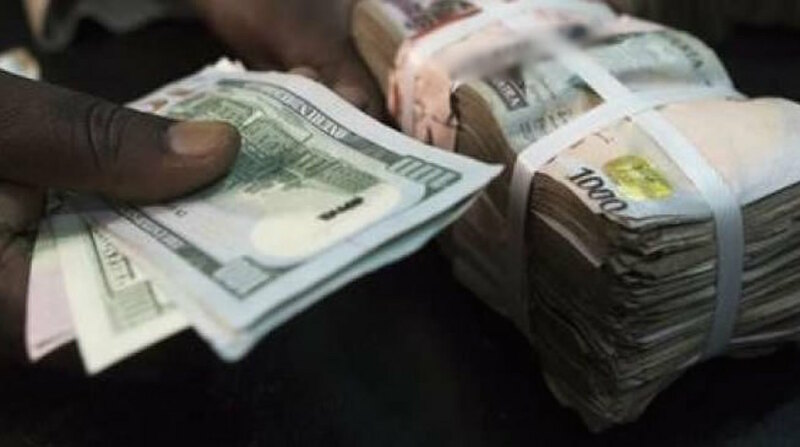 Regardless, almost all the major firms were forced to source foreign exchange from the parallel (unofficial or ‘black’) market at a premium of at least 50 per cent on the then official U.S. dollar rate of about N200. The views of key executives in Nigeria’s manufacturing sector during that testing period are instructive. They sourced foreign exchange from wherever they could get it, at twice the official rate sometimes. Unfunded clean letters of credit, asking for favourable payment terms from suppliers, and adopting an export focus to generate FX were some of the strategies adopted by Seven-Up Bottling Company Plc, manufacturers of PepsiCo’s products in Nigeria, chief executive, Sunil Sawhney said. He was not alone. In a trading update reported by Bloomberg in April 2016, PZ Cussons Plc – makers of the Imperial Leather soap brand in Nigeria, availed investors of its own experience: it did not get as much foreign currency as it needed for its operations. And even when it did, it had to pay a premium of 50-70 per cent. Inevitably, the much higher blended costs of foreign exchange from these alternative sources were passed on to consumers – although not in all cases, according to Mr Sawhney; never mind that his company’s suppliers were able to pass on the increased costs. Positive measures by the central bank from June 2016 onwards – in addition to floating the naira, the Central Bank of Nigeria (CBN) also cleared pending FX purchase orders of about US$4 billion via spot and forward settlements – were a vindication of their resilience. Regardless, some firms managed to cope. Nestle, a global foods and beverage manufacturer, for instance. What Nestle did was to widen the number of banks it sourced foreign exchange from – a practice that became widespread amongst other multinational firms thereafter, limiting effectiveness. Additional investments by Nestle – it opened a US$28 million (N5.6 billion) water factory in mid-April 2016 – amid the myriad of uncertainties at the time, is proof that it still saw tremendous potential in the country. Despite the challenges, Unilever continued to make additional investments as well, investing over US$150 million in recent years on its brands and facilities. On why Unilever remained bullish on the country’s prospects despite the obvious constraints, Mr. Witvoet put it this way: “Nigeria has a lot of opportunity.” This was the dominant sentiment of managers at multinational companies that endured those challenging times. Since they were in Nigeria for the long-run, they chose to brave the challenges, albeit their pain thresholds were severely tested. Positive measures by the central bank from June 2016 onwards – in addition to floating the naira, the Central Bank of Nigeria (CBN) also cleared pending FX purchase orders of about US$4 billion via spot and forward settlements – were a vindication of their resilience. This article is adapted from a paper written in July 2016 for the NTU-SBF Centre for African Studies at Nanyang Business School, Singapore.